Ready, set, SCRIBBLE! 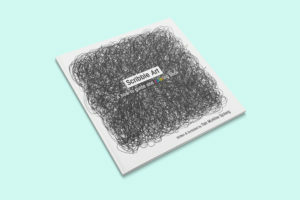 “Scribble Art” celebrates our first visual expression, the scribble. The scribble gives us permission to have no unique talent, no special tools, just the desire to express. Think of a toddler who has learned to hold a crayon, they want to use it where ever possible! This book offers the opportunity for us all to go back to our roots as artist. Scribbling could be the native art form of the entire human race. As children it is our first visual language. As adults we may need to re-learn how to let go, so we CAN scribble. 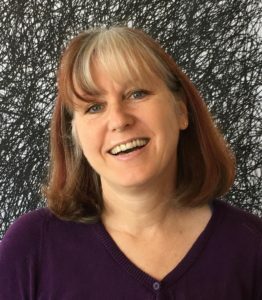 In this playful book, author and artist Tish McAllise Sjoberg presents many of her own personal resources about the creative process. She gives us permission to scribble, express and make art with no need for talent or education. The scribble is the perfect medium for expressing emotions, relieving stress and playing, while simultaneously creating art. A scribble a day can help us be happier, healthier and more creative! The scribble is just the beginning—next add color! Try it yourself, see all the forms that the scribble can take, maybe we need a new genre of art, scribblism! © 2019 The Scribble Books.